We couldn't resist these deep-fried treats even if we tried. (SPOT.ph) It’s crazy how fried food gives one an immediate sense of comfort. And this is exactly the case with the ebi tempura. Unlike other deep-fried delights, the shrimp dish is known and loved worldwide and considered a gastronomic art form by the Japanese since the 17th century. Getting it perfectly cooked would seem like a simple feat, but generations of chefs would tell you otherwise. 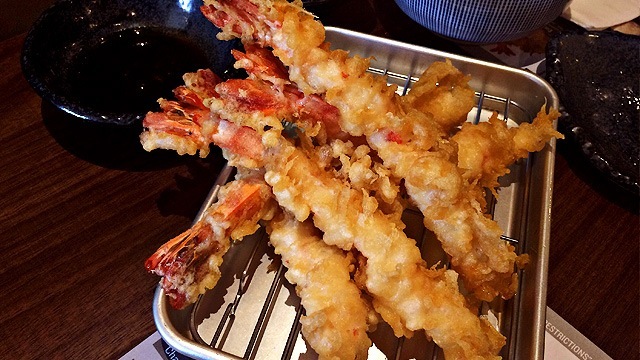 The ebi tempura is made up of shrimp and a light flour-based batter, as opposed to the ebi furai, which uses panko or breadcrumbs. 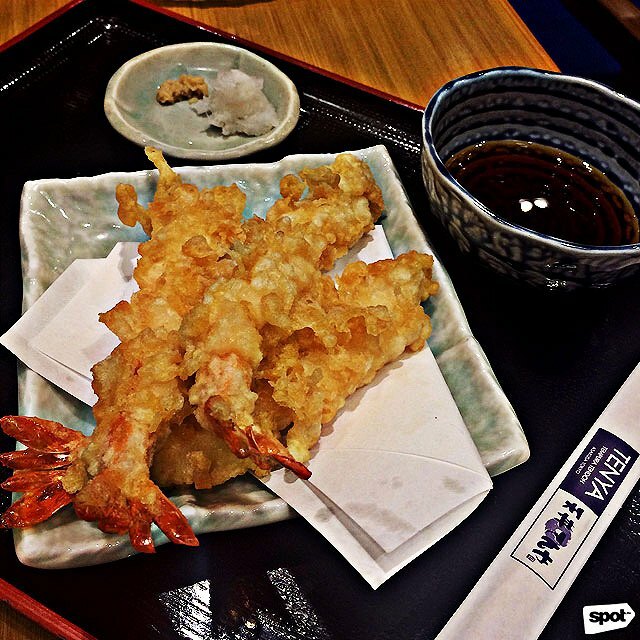 Thankfully, Manila is not short of options for great ebi tempura. 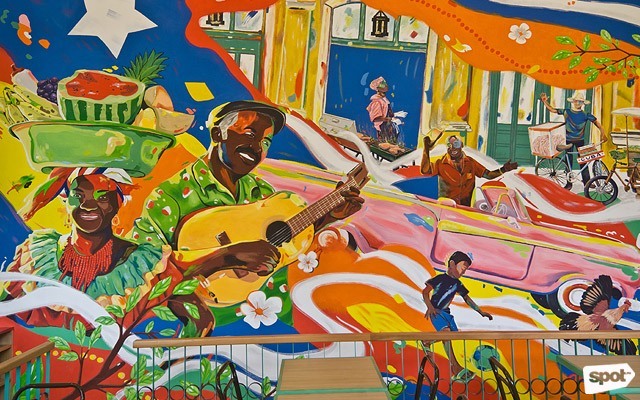 For this list, it’s all about getting the harmony right between various elements. For one, the batter must reach a fluffy texture that packs on the crunch. The exterior must give off a savory flavor on its own without overwhelming the filling. And then, we have the shrimp. First, it must be fresh. It should be tender, plump, and mouthwateringly juicy. In terms of shrimp-to-breading ratio, one shouldn’t outdo the other when it comes to taste and substance, while the sauce should also be straightforward in its sweet, earthy glory. 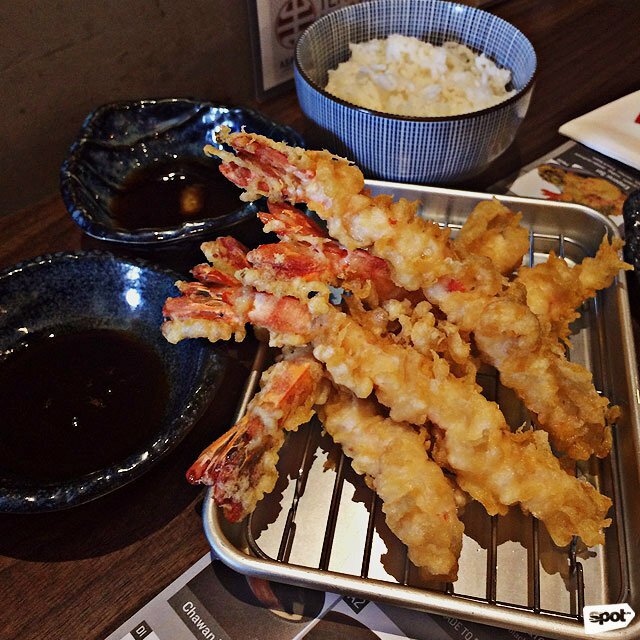 Here are our picks among the must-try ebi tempura in the Metro. Which one will reign supreme? All SPOT.ph lists are researched, paid for, tested, and selected by the writers and editors. They are discreetly conducted without any notice made to the restaurant owners. Ogetsu Hime has branches at SM Aura Premier, Bonifacio Global City and SM Megamall, Mandaluyong City. Ogawa’s elegant interiors feel like a portal that transports you to a different place—for a moment, you’ll find yourself in the middle of old Tokyo. What Ogawa gets right in setting the mood, they also get right with their ebi tempura. From the first bite, it’s clear that the shrimp is the star here—a burst of lusciousness with every bite, teeming with so much flavor and life. 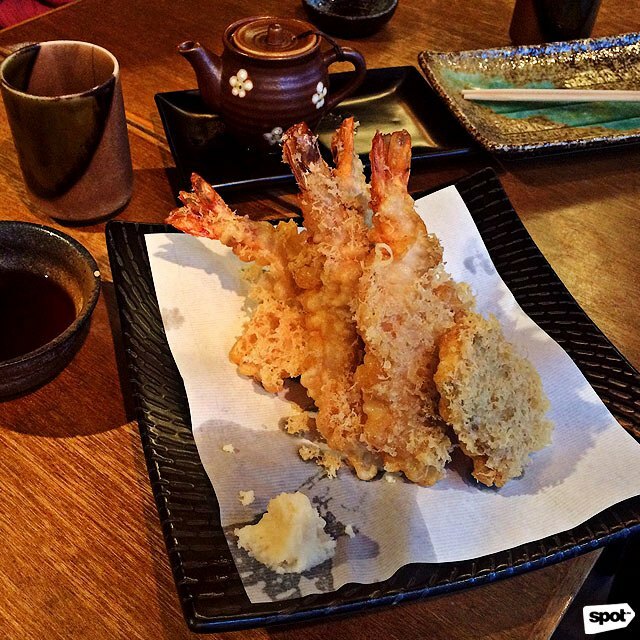 We just wish the breading and the tempura sauce could keep up with the shrimp’s stellar qualities. Ogawa is at 2/F Fort Strip, 5th Avenue corner 28th Street, Bonifacio Global City. Omakase started in 2002 as a takeout counter specializing in sushi. They’ve since grown to a full-fledged diner with several branches around the Metro. And while their sushi rolls are more than enough reason for repeat visits, their ebi tempura surprisingly holds its own, too. For one, they’ve got the batter-to-shrimp ratio down pat. The breading strikes a good balance between featherlike and crisp. Delving into the layer of crunchy crust, you’ll uncover soft chewy ebi, though some may find the breading’s flavor a bit too overpowering. See a list of Omakase branches. On typical days, Kenji Tei is synonymous to hefty bowls of steaming ramen. 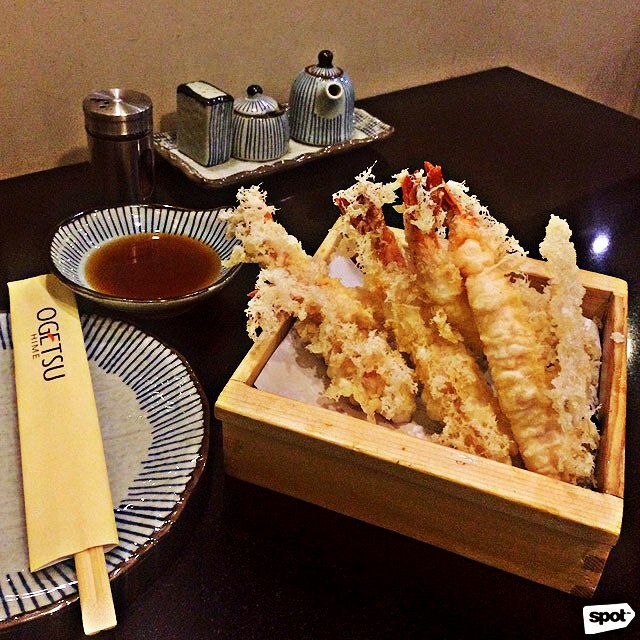 But we dare you to go past your usual here (or at least add to it) and order the ebi tempura. A bite into its crisp exterior is almost like their way of showing us how home feels—that’s how winning their crusty breading is. The tempura sauce also involves your standard radish and ginger, albeit separated for you to mix and match to your liking. If the shrimps were less slight, or the dish had more balance in proportion, this would have ranked even higher. 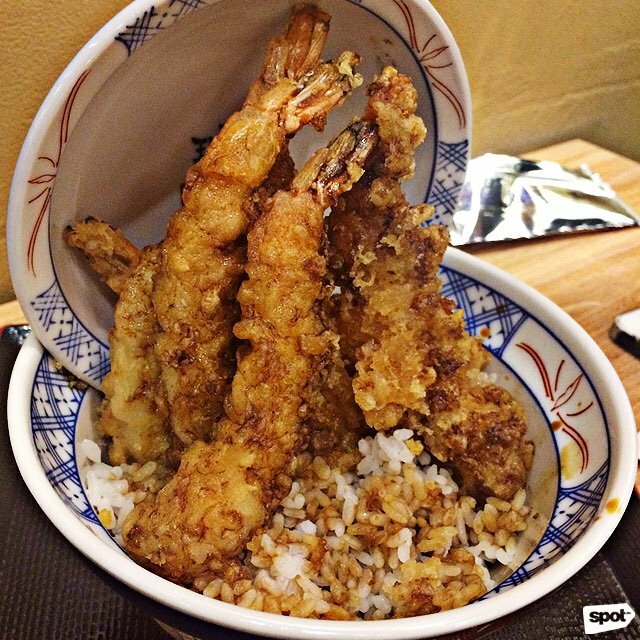 Kenji Tei is located at 3/F Greenbelt 5, Makati City. Their specialty tempura rice bowl has a cult following in Singapore. And so, when it landed on our shores, we just had to know what the fuss was about. This is not the traditional ebi tempura you’ve grown used to, which is quite the welcome departure. There’s a special, flavorful sauce incorporated into the breading and upon ordering, they give you two options: Original or Spicy. Each order has deep notes of soy, paving the way for delicious hints of sweet, savory, and an unexpected smokiness. This eight-piece set risks overdoing the crispness but it's a noteworthy take you shouldn't miss. 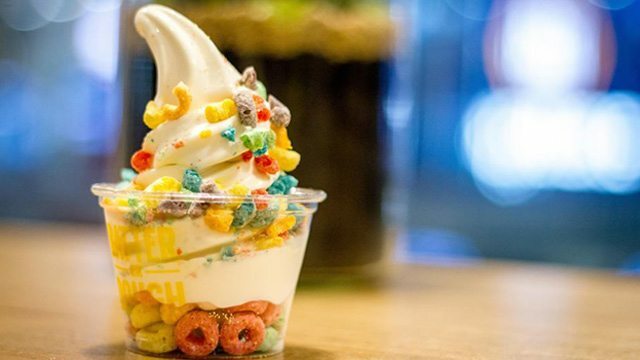 This popular Japanese franchise is known for its fast casual atmosphere. Rest assured, however, that even with their Shinkansen-like service, the meals served are delicious. 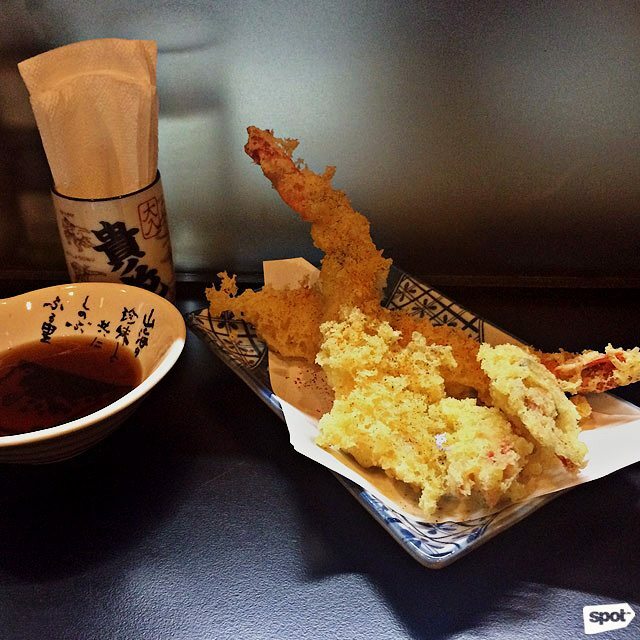 Their ebi tempura is a delightful battle of contrasts—the breading boasts a featherlike crunch, a suave texture, and compactness to boot. The shrimp, meanwhile, hits the triumvirate of fresh, juicy, and savory. We could swear that there’s even a hint of sweetness to it, hidden brilliantly underneath its folds. There were instances where a bite would just yield all crust, but it’s a flaw we’re willing to overlook. Especially with the unsung hero that made this carb-ridden affair even more delightful to begin with: their perfect blend of dontare sauce. See a list of Tenya branches. In Japan, Asakusa is a district filled with tempura eateries. Asakusa House of Tempura wants to provide us with the same experience, sans the passport, of course. What this quaint restaurant gets right off the bat is the consistency of their ebi tempura—the balance of breading to shrimp is truly laudable in flavor and proportion. Never mind the grease that forms a sheen on your lips with every piece—it’s worth it. 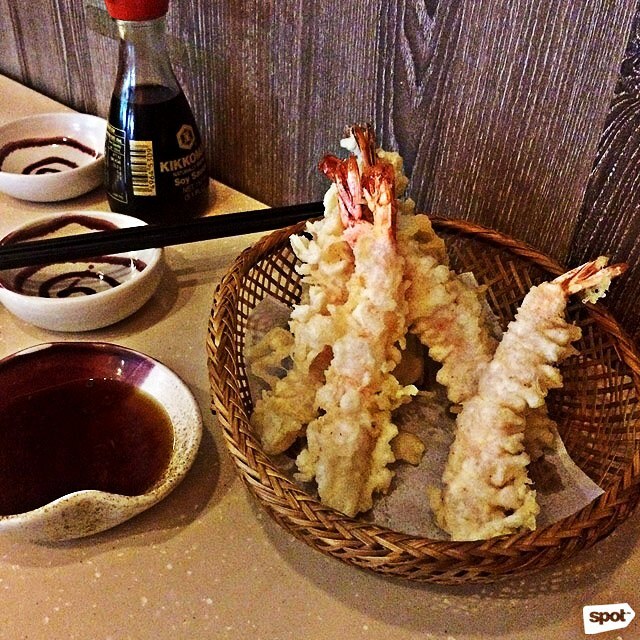 Biting further into the tempura, the Black Tiger Prawns make an appearance. Despite its plumpness, it manages to veer from the usual mistake larger shrimps fall under for being cooked too dry. They even give you two tempura sauces—one with the traditional ginger-and-radish mix, and the other a thicker sweet-and-savory sauce that’s more suitable to the Pinoy taste. Win-win right there. 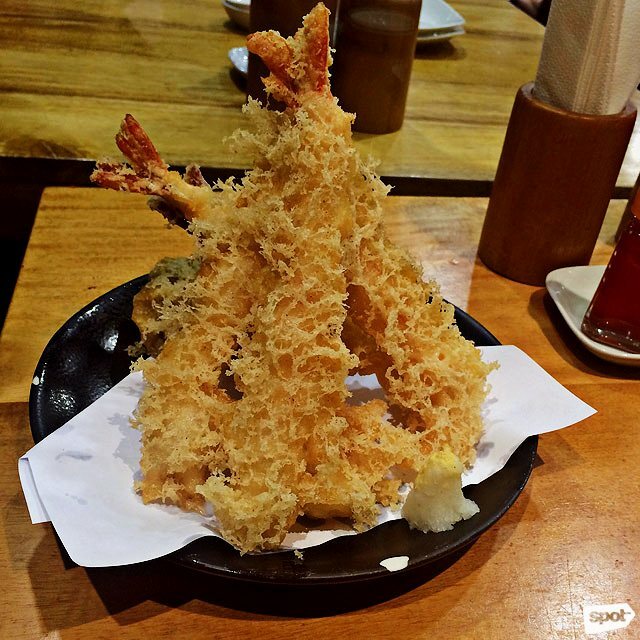 Asakusa House of Tempura has branches at The Grove by Rockwell, Pasig City and Ayala Malls Vertis North, Quezon City. 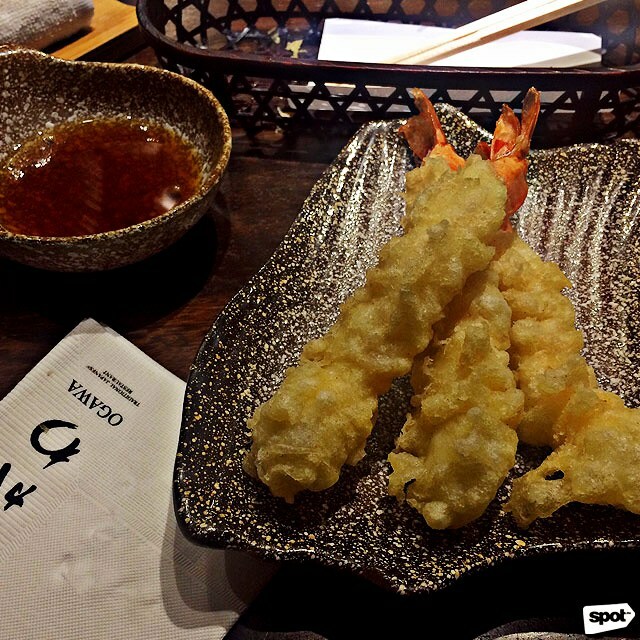 It’s no secret that patrons regularly make their pilgrimage to Yumi for their Ushi Ebi Tempura. They’ve created a near-perfect mélange of flavors and textures as theirs follow the traditional form of tempura-making, which yields an excellent take on the well-loved dish. You’ll find substantially-sized prawns clothed in delicate fluffy coating that’s crisp and not oily. Extra breading flakes won’t rain down on anyone’s parade here, and is a welcome break from the filling dish. The shrimps could have been more tender, but that's a minor imperfection. Don’t forget to dunk it in their tempura sauce to get extra yummy results. Yumi has branches at Century City Mall, Makati City and Promenade, Greenhills, San Juan City. Given its bold take on Japanese, it would be reasonable to assume that ebi tempura isn't at the top of your list when ordering at Ooma—it's time to change that. The coating on this version is fluffy and packs on just the right amount of thunderous crunch. It’s seasoned with a light umami flavor that builds up with every bite. But the shrimp holds its own, undeniably fresh with the promise of lusciousness within its folds—a testament to how expertly cooked it is. Then, the best part: three sauces that add layers of dimension. There’s the traditional tempura sauce, homemade herb aioli, and the aligue mayo. Ooma works their magic with this masterpiece. This new hole-in-the-wall tempura bar is tucked in an awfully cramped space, but it’s right up Tambai Alley, so you know you’re in for a good treat. And let us tell you, it’s love at first crunch—in fact it's so satisfyingly crunchy that it’s the first thing you’d notice. Then there’s that sublime whisper of buttery saltiness woven into the breading, with light sprinklings of seaweed and chili enhancing it all the more. The succulent filling benefits from the cooks’ ritual of thoroughly massaging the prawns before finally cloaking them in batter. 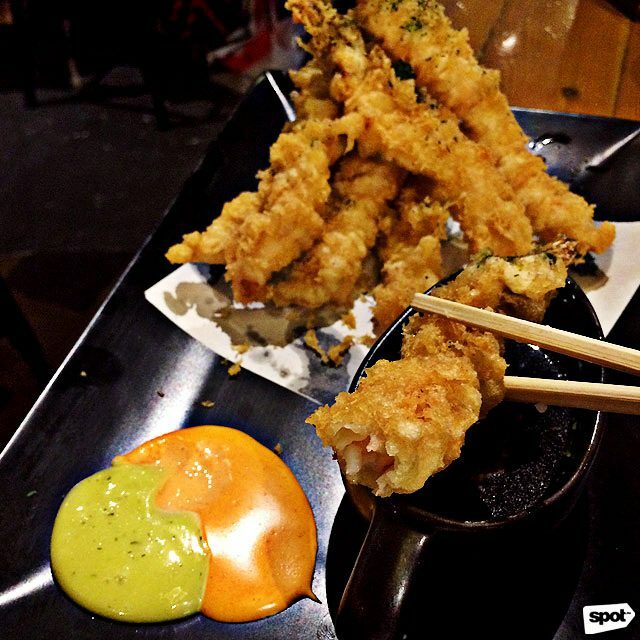 True enough, Ebi 10’s ebi tempura is another beautiful gem that's worth your next Poblacion treasure hunt. Ebi 10 is located at Tambai Alley, 5779 Felipe Street, Poblacion, Makati City.